To mark the 100th anniversary of its publication, various books have been published this year on “The Legends of Tono (Tono Monogatari),” and a range of new topics of discussion have been raised about the author, Kunio Yanagita, as well. When one thinks about the progression of Kunio Yanagita, one must conclude that “The Legends of Tono” is located at a point of connection of various aspects. If one were to read “The Legends of Tono” simply as “legends” which contained a collection of facts, as the title might suggest, one would run the risk of overlooking some of the other aspects that are hidden within it. This is because “The Legends of Tono” comprises certain elements that are difficult to fit into the culture of specialized fields that increasingly make up academia today. If one traces back the life of Kunio Yanagita before this was written, however, these aspects clearly present themselves. In the first place, Kunio Yanagita wanted to improve the lifestyle of people living in farming villages, and after graduating he entered the Ministry of Agriculture and Commerce (now the Ministry of Agriculture, Forestry and Fisheries). Before long, however, he was transferred to the Office of the Councilor for the Legislation Bureau. One of the jobs he was given at that time dealt with granting special pardons. The main content of this work was to select prisoners who had been sentenced, but who seemed unlikely to commit another offence, and this involved going back into their pasts—by reading through a vast amount of documentation regarding the record of their crime and the record of investigation from their preliminary hearing—and scrutinizing in detail the individuals and incidents that had potential as subjects for special pardons. The record of one particular incident which had taken place in Gifu Prefecture captured Yanagita’s attention, and the outline of this incident is as follows. One day in late fall, a man about 50 years old who made his living as a charcoal burner, deep in the mountains of the Nishimino area, found that no matter how hard he tried, he could not sell his charcoal, and out of distress and poverty, he killed his two children with an ax. On the day in question, the man had gone out to sell his charcoal, but had been unable to sell any and had to come home empty-handed. Upon arriving home, he lay down to sleep for a while, but on waking, he found that his two children were intently sharpening his ax in the light from the evening sun. They asked him to kill them with it and laid down face up using wood from the entranceway as a pillow. Seeing this, the man went into a stupor and did the deed. But he failed to kill himself and ended up being taken to prison. Later, this became a story at the beginning of “Life in the Mountains (Yama no Jinsei)” (1926), entitled “The Lives that are Buried in the Mountains (Yama ni Umoretaru Jinsei aru koto)”. The appalling and nearly hopeless poverty that this anecdote illustrates made a strong impression on Yanagita. For Yanagita, studying the stories of actual people in this way brought up far more important issues than the naturalist literature of the time – that is, the 1900s – which was increasingly dominating the literary world. In particular, Yanagita had strong doubts about the work of his literary friend since his teenage years, Katai Tayama, who had by this time become a standard bearer for naturalism, which involved writing about the stark facts of his daily life and those around him and calling it naturalist literature. 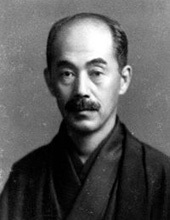 Yanagita had doubts as to whether naturalist works, such as Katai Tayama’s “Futon,” which was published in 1908, by discussing and uncovering in hair-splitting detail people’s inner lives, was really able to capture the tides of society and the inherent problems in it that lay behind these. 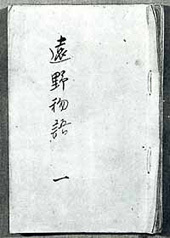 Up until that time, Yanagita had previously introduced stories that he had come across in the documents from his work to Katai Tayama, and in turn, Katai Tayama had actually used some of these as material for his novels. In this case too, Yanagita had sketched out the story for Tayama from the case records. It seems likely that Yanagita had anticipated that Tayama would be able to identify some of the underlying issues that he himself had not yet noticed about the stories in the case record. However, Tayama’s reaction was surprisingly cold and indifferent. In other words, his view was that the content of the story was too serious to be made into a novel. While it is true that some differences had already existed between these two men, the chasm created by their disagreement over this story was decisive. To Yanagita, it was precisely because of their grave nature that these stories needed to be told. Behind this view lay his deeply held doubts as to whether simply delving unnecessarily into people’s inner lives and describing them really merited the title of naturalism. “The Legends of Tono” of June 1910 were born as part of the background to this very tension. The world that is created in this work has no reference to the inner lives of the people who appear in it and is written in purely descriptive terms. But this direct and simple language creates a quiet and powerful impression. 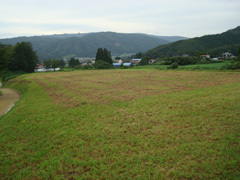 Further, Yanagita’s ability to compose stories in the form of “legends” which describe the elements of the lifestyle in rural Tono, reflect his perspective as a bureaucrat involved in agricultural policy who seeks to understand the daily events of rural life from their roots. “The Legends of Tono,” therefore, is a work which truly blends politics and literature. Professor Tsurumi was born in 1965. He completed a PhD course at the Kyoto University Graduate School of Letters and was Visiting Researcher at the National Museum of Ethnology before assuming his present post in 2003. His area of specialization is Modern and Contemporary Japanese History.